Join us as we discuss this year's Doctor Who Christmas special, The Return of Doctor Mysterio. This time the Doctor dives into the superhero genre, with a story of a masked vigilante known as The Ghost. 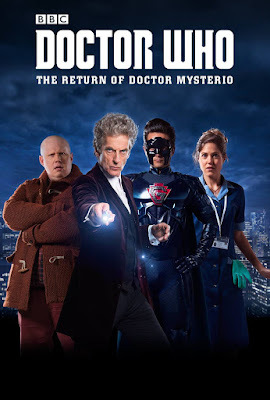 Together, along with a reporter named Lucy; and River Song's former companion, Nardole; must stop body-snatching aliens from destroying the planet (or as the Doctor calls it, just another annual Christmas invasion).